Twelve-tone music attempts to circumvent the concept of a tonal center by using a formula to avoid emphasizing any single tone. In tonal music, the tonic of the scale usually gets emphasized creating the feeling of a tonal center. 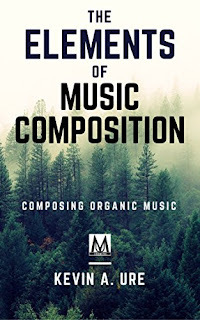 Tonal music also uses certain chords based on the fundamentals of the overtone series to help emphasize the tonic -- usually the dominant and subdominant. 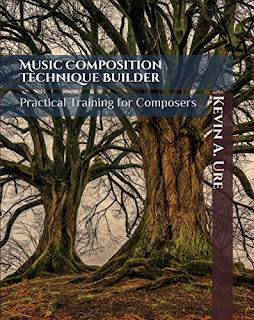 Twelve-tone music doesn't use specific chords and avoids any relationships used in tonal music to create harmony and melody. 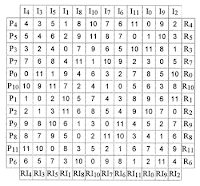 Composers that want to create a 12-tone matrix can do so using graph paper. Once a composer creates a row, a version of the row is selected to create each melody of the composition. 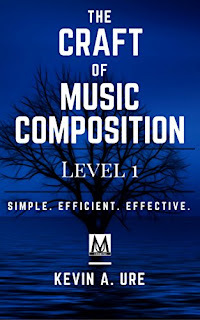 Some composers take it a step further and stack the notes to create chords as well. When selecting pitches, composers avoid selecting intervals that might imply a tonic, such as a major third followed by a minor third. From left to right, the letter P is used to represent the Prime of the row.Use the following row as a guide to create your own twelve tone row. From right to left, the letter R represents the Retrograde of the row. From top to bottom, the letter I represents the Inversion of the row. From bottom to top, the letter RI represents the Retrograde-Inversion of the row. 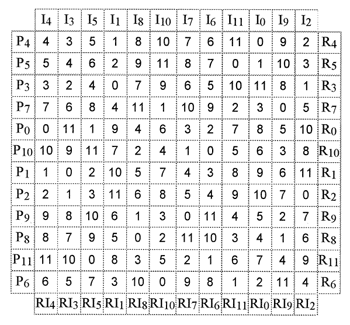 Creating a row is simple, although many composers use row calculators to create the 12-tone matrix. You need to set up your graph paper with a 14 by 14 grid. Leave the squares in the top and bottom corners blank. The initial row form is the Prime form of the row. It can be created by the composer, provided no two notes are repeated. Instead of letters, many composers use numbers from 0 to 11. Each number represents a pitch with 0 being the note name C in most cases. Pick any 12 pitches and order them from left to right, but leave the first row and first column of your grid blank. The first row and column are used to write in the abbreviated names of the row for your reference. Do not repeat pitches; however, you may use numbers if you like. Write the first pitch or number diagonally from the top left left corner to the bottom right corner. In the example image, we has the number 4, so we would write in 4 diagonally from the top left to bottom right of the grid, leaving the top and bottom squares blank, of course. The next step involves filling in the sides of the row to indicate the versions of the row. Along the top of the row, write in the numbers that indicate the pitches in your Prime row on the top and bottom of the matrix. Use I for the top columns and RI for the bottom. For instance, if you have an Eb or 4 as the first note in your row, label the top column I4 and the column at the bottom RI4. If the next pitch is D, then label the second column I3. Continue to complete each column on the top of your row. Since the first row starts with the number 4, place P4 at the left-hand side of the twelve-tone matrix and R4 at the right-hand side of the twelve-tone matrix. To figure out the remaining forms of the row, you need to determine the interval between the filled in diagonal row and its corresponding prime (1st) row. For instance, in row 2 of the example, the diagonal pitch is 4 since the number is Eb. The distance between the second row and the Prime row is 1, since the Prime row has a D or the number 3. Complete the rest of Row 2 by adding 1 to each pitch in the Prime row. In this case, you have the following numbers from left to right in the second row: 5, 4, 6, 2, 9, 11, 8, 7, 0, 1, 10, 3. Since the row starts with the number 5, filling in P5 for the left-hand side of the matrix and R5 for the right-hand side of the matrix. Now that you have the first and second row filled in, continue to fill in the remaining rows using the same process. What is the distance between the third column, third row and the first column, third row? Find the number you entered into the third row, third column and compare it to the first row, third column. Using our example, we used the pitch Eb or the number 4 for the third row, third column. If you look at the first row, third column, you see the number 5. Since 4 is less than 5, you have to subtract one from the Prime number in each column of the first row. For the third row, the first column is 3, since 4 - 1 = 3. The entire row is: 3, 2, 4, 0, 7, 9, 6, 5, 10, 11, 8, 1. Label the left column with P3 and the right column with R3. Once you have filled in the third row, continue filling out each row until you have filled in every available column for each version of the row. Now, when you composer you can select any version of the row you want to create your melodies. Some people also use strict number systems that determine the pitches based on various criteria. Others try and use repetitive motives to make up for the lack of tonal melodies. The concept behind twelve-tone music involved the intervallic relationships between the pitches. The orderly use various forms of the prime version of the row ideally allowed listeners a new way of understanding and listening to music. Someone with an extremely advanced ear could theoretically sense the relationships between the notes and understand the musical organization of the piece.